We are pleased to send you the first Email version of our Holocaust Education Newsletter. We hope that you will find it informative and helpful; please feel free to share it using the special "Forward" link below. Jewish Life in Pre-War Germany: Readings for the Anniversary of Kristallnacht. 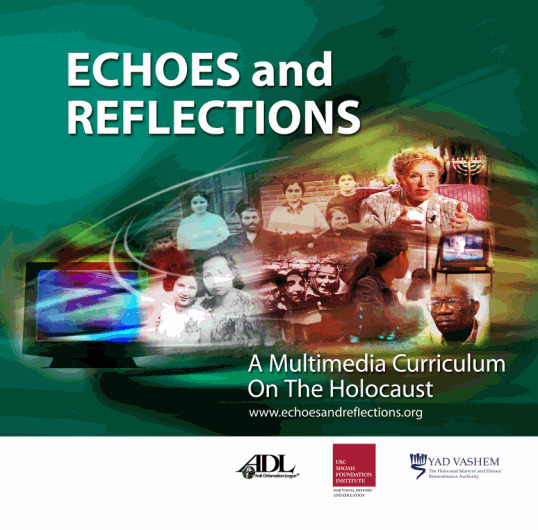 Extensive resources for yearly lessons and commemoration, including audio and video testimony, photographs, documents and link to USHMM online exhibition. Substantive resources for annual programs, including photos; video testimony; Pages of Testimony with biographical data of some who perished that night; and details of November Pogrom in Baden-Baden. No. 4 Street of Our Lady - Film highlighting the little-known story of Francisca Halamajowa, a Polish-Catholic woman who risked her life to save 15 Jews during the Holocaust. David S. Wyman Institute for Holocaust Studies, discusses Josiah E. DuBois of The Treasury Department and his struggle against the State Department's inaction during the Holocaust. Further information. Presentation by survivor Felix Zandman, preceded by informal opportunity to speak with survivors and concentration camp liberators, and concluding with memorial service and candle lighting ceremony. For information, call 610-934-1919. The Wave- New German film re-examining 1967 American class project, where unconventional teacher's simulation of dictatorship is met by "wave" of conformity and fanaticism. Nuremberg: The Nazis Face Their Crimes- Re-examination of historical trial using original footage; narrated by Christopher Plummer. French with English subtitles. Click here to arrange docent-led group tours. --- We Were Marked with the Big Letter "A"
The exhibit is supplemented by an interactive kiosk featuring stories of lesbian and gay Holocaust survivors and rare ephemera from Nazi Germany. German Jewish professors, scientists and scholars who found refuge pre-war in the U.S. and their impact on African-American students facing racism and segregation. Further information. New interactive, digital visitor experience. Phase 1 of the center features Voices of Liberty, soundscape of diverse voices responding to arriving in America for the first time, including Holocaust survivors, Soviet rufuseniks, and others. Continuing exhibit, supplemented by online exhibition and companion volume by Steven Luckert and Susan Bachrach, available through Museum Shop. At The U.S. Holocaust Memorial Museum, Washington, D.C.
"Studying the Holocaust through Literature"
"The Anne Frank Project Showcase"
Model presentation of the Anne Frank Theater Project, previously sponsored by Jewish Family and Children's Service and now presented by the Holocaust Awareness Museum. Tickets available in advance at the Museum or online. For additional information about other Museum services, contact program director Robin Falkow. Links to interviews, presentations by Gerda Klein. --- "Living Histories: Seven Voices from the Holocaust"
---"Witnesses for Change: Stories of Liberation"
Seven Holocaust survivors and liberators share perspectives and recollections in video clips, approximately two minutes each. Links to supplementary sites. "70 Years Later: Remembering the German Invasion of Poland"
Includes photos, documentary footage, testimonies, maps and links. See "Learning Materials" regarding childhood experience, case study of family business and post-war aid to survivors. Supplemental background and extensive chronology also available. New materials to be added as website develops. Designed for the Daring to Resist exhibition, the downloadable guide can be used independently to study the range of Jewish response and resistance during the Holocaust. 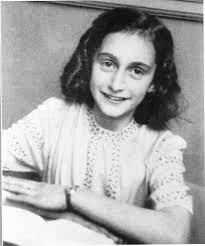 Lesson plans include analysis of photographs, artifacts and documents, and case studies of Jewish rescue and resistance, and ethical wills. Designed for the Sos�a exhibition, the downloadable guide can be used independently to study the one country which opened its doors to Jewish refugees as a result of the July 1938 Evian conference. Lesson plans and worksheets are available in both English and Spanish. Coming of Age Now provides free resources for in-depth Holocaust study for students of bar and bat mitzvah age. The curriculum includes a Teacher's Guide, student workbooks presenting the stories of 13 young people who came of age during the Holocaust, and DVDs of testimony from these survivors, both in English and in Hebrew with English subtitles. Curriculum for sale through MJH website; sample video clips accessible at no cost through website. New website provides extensive information on 1000 years of Polish Jewish life through photographs, film, historical articles, and glossary. The project is part of The Museum of the History of Polish Jews, a multimedia narrative museum and cultural center due to open in 2012 on the site of the former Warsaw Ghetto. Further information and links to resource materials. "Crisis & Credibility in the Jewish Christian World"
Further information on website or by Email. program for middle and high school students will precede the ceremony. For questions regarding all JCRC Holocaust programs and for requests from Speaker's Bureau, contact Beth Razin, 215-832-0536. 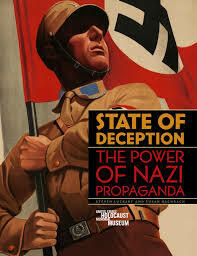 Primary sources including posters, illustrations, children's book excerpts, speeches, cartoons, and photographs. Click on each lesson for links to photos, documents, and artifacts. Primary source documents, speech excerpts and visuals. Primary source documents, memoirs and photographs. Nuremberg Trial records; Eichmann Trial records; extensive archive of documents and interviews regarding camps and perpetrators; Holocaust denial. Documents, movies, music, galleries of art and photos. Audio testimony excerpts organized by theme and transcribed. Click link for additional audio interviews. Teacher's guide and supplementary resources. Sponsored by Azrieli Graduate School of Jewish Studies and Administration of Yeshiva University, edited by Karen Shawn, Ph.D and Jeffrey Glanz, Ed.D. Bi-annual, peer-reviewed journal for high school, college and graduate school educators and their students. Each issue focuses on specific theme examined through multiple disciplines. Compiled and edited by Josey G. Fisher, Holocaust Education Consultant.